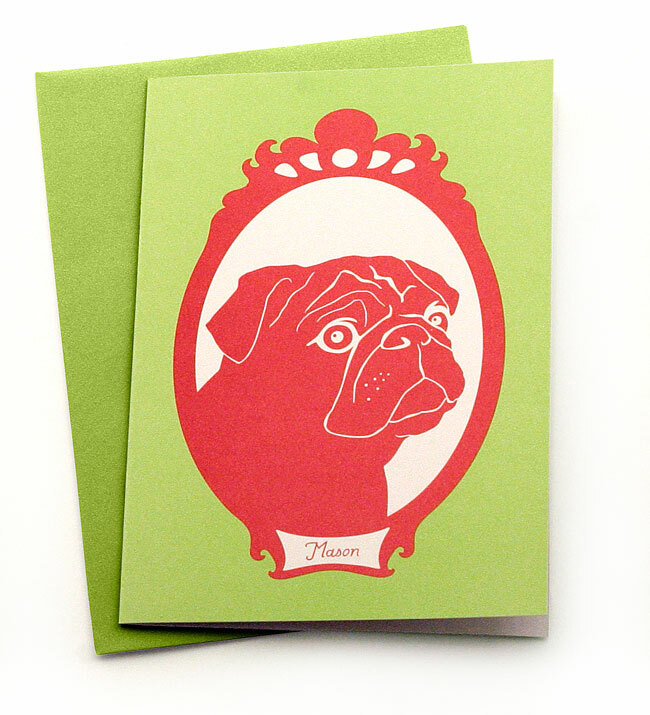 This greeting card features Mason the pug, framed in silhouette. Mason is one of the much adored pets featured in the Family Portrait Series. The range is printed in vibrant 50s inspired colours.